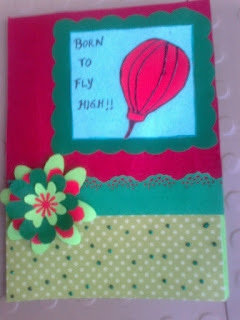 Pygmy Arts: Simple card in Christmassy colours!!! With christmas down the line, I thought of making the next card by using the traditional christmas colours. This one was made for a friend to gift her colleague. 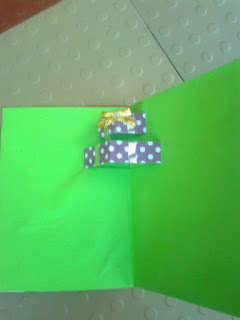 Since it was for a guy I tried to keep non- cute ;) I really have not figured why guys are averted from cute cards. At an age when career is at its peak, fame and money are every guys dream. This one is no different. Hence the quote "Born to fly High" to encourage him in his endeavors!! I added a little gift pop up inside and am still contemplating if I should adorn it with a motivating poem :). Do leave back your views! 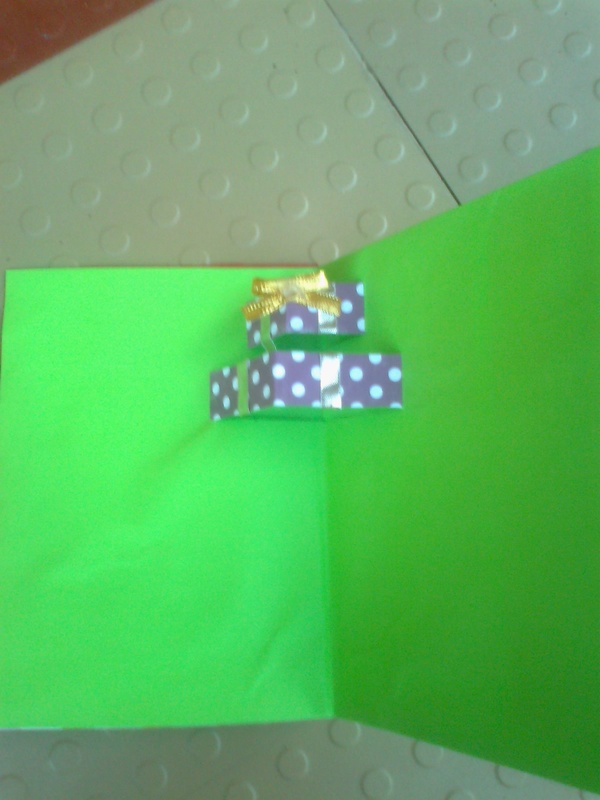 Ah ha lovely to see a pop up card...so few people even attempt one and I am so glad to see you make one! That's very sweet of you! Great pop up card!